I technically did this because I didn't read any books for leisure in 2014... I only finished one book which was The Beast Within, but I kind of cheated because I recently remembered about my resolutions and finished it last week...haha. I did already read more than half of the Chinese zodiac one when I got it because I wanted to know what the new year brings for me and others I know. I plan on rereading some of the sections and see how much of it came true. Let me know if you would like a post on that. Aside from books, I did feel like I read a lot more articles online this year, too. 2. Go on more adventures and explore! Definitely! I did go out of town to a different place other than NYC and NOVA. 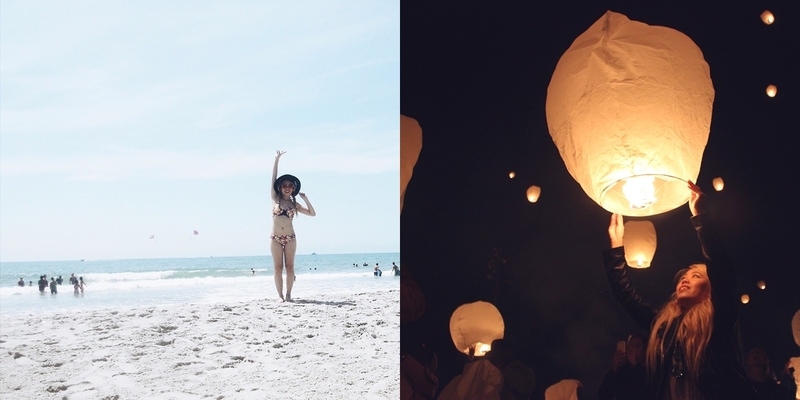 I went to South Carolina for the Myrtle Beach trip, and North Carolina for the lantern festival. (It didn't hit me that I went to both of the Carolinas this year until this post!) I also tried out a good amount of new places to eat and shop. I tried out that new donut shop around the block that I mentioned earlier this year, and I went to events in my local area and to museums. I went to my first bar and went clubbing for the first time this year as well. I know, I'm such a late bloomer for these, but it's because the people that I hang out with finally turned 21 so we got to do more things like that. 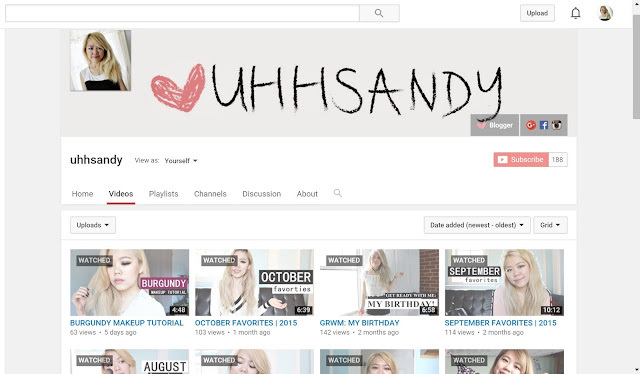 I would say I updated my youtube more and updated the blog about the same as before. The main difference was BLOGMAS. I didn't participate in it because I just didn't have the time, but I really hope I'll be able to do it for 2016. Who knows, maybe I'll even do vlogmas? My goal for 2015 was to post a blog entry twice a week and upload a video twice a month. I did manage to do that in the first half of the year, but towards the end I was down to maybe one blog post a week and one video a month. So did I fulfill my New year resolutions?? I would say for the most part - yes. I didn't do exactly what I had planned, but I would say it was good enough and I'm happy about that, especially because I started working more, too. I felt like my time management skill improved, and I hope that I'll continue to manage my time well because I just love blogging! What about you guys? How did your new year's resolution go? Do you plan on having some for this year? I think I'm going to try to keep these same resolutions for 2016 and add three more. During the warmer seasons, I go at least twice a week, but when it starts to get cold, I slack off because all I want to do is stay home and cuddle up to watch Netflix. (I'm sure a lot of people are guilty of this lol). I feel like I don't drink enough fluids throughout the day especially water. It's not that I don't like to drink water or other types of beverages, it's just that I forget? I'm more of a snacker than drinker, but I hope that drinking more water will keep me hydrated so I'll be able to have nice skin haha. I know it's quite a vain reason, but 2015 was the year my skin probably went through the most so I hope by committing to this habit, my skin will improve. Even though I consider myself an organized person, my room on the other hand is not...I mean, I know where most of my things are - in organized piles of messes, but they're still piles of mess. I work better in a clean organized environment so maybe trying to keep up with my room will make me more productive and procrastinate less. These seem like simple resolutions, but I know it'll be difficult to maintain. Wish me luck! 2016, I'm ready for you! great post! Wishing you the best year ahead! Great new years resolutions! One of mine is also to read more books! I totally agree! I should read more books too haha!